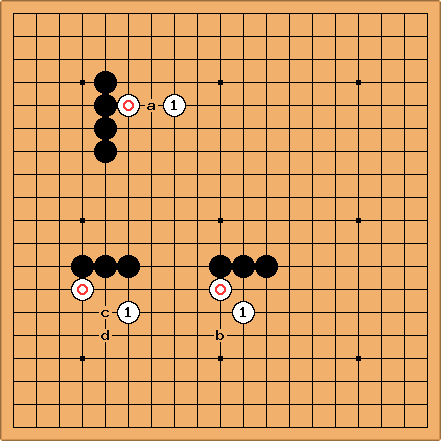 These are examples of White playing too close to strong black formations. No good will come of this: White will be short of liberties quickly, while having zero effect on Black. There are more appropriate ways to help out or use the stones. 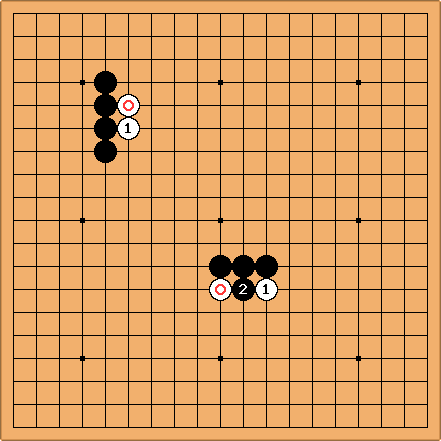 These plays by White are lighter and rather better: in the case of White takes a relaxed view of Black a, being prepared to sacrifice the initial stone. tderz: All these positions will differ more in their purpose than in their lightness. The lower examples are significantly different from above a and not necessarily better. It depends on the surroundings in the game position whether these moves make sense. Position b is vulnerable by black b, the kosumi being a connection, makes it difficult for White to sacrifice with advantage. Position c has the cut at c.
A basic guideline is only to play for some definite effect. It isn't necessarily being particularly aggressive to fill in liberties on a group of the opponent's. That is one motivation for playing close, but it is mostly unskilful and leads to cutting points and shortage of liberties.